Precise computational modelling of the brain-skull interface is necessary for the prediction, prevention and treatment of acquired brain-injuries. The brain-skull interface comprises complex layers including the osseous cranial tissues, meninges, sub-arachnoidal space and tissues, cerebrospinal fluid (CSF), pia mater and the gray and white cerebral matter. While the tissue properties of the brain-skull interface are known, there is no consensus on how these layers interact during head impact. To generate computational models of the brain-skull interface with greater accuracy, knowing the boundary conditions or constraints is necessary. Previous experimental studies have relied on modelling the deformation of the brain-skull interface using neural density targets (NDTs) implanted into the cadaver brain, collecting information on tissue displacement during front and rear impact in motor vehicle crash-tests. Wang et al. (2018) utilized computational bio-mechanics and finite element analysis (FEA), placing nodes in the 3D model in close approximation to the position of the experimental NDTs. Four hypotheses of the brain-skull interface were modeled, each approach placing different boundary conditions to model deformation during simulated head impact. All analyses were validated against previous experimental studies. Results showed that how the brain-skull interface was modeled appreciably affected the results. The 3D model showing the closest agreement with the experimental data, included all tissues of the brain-skull interface, allowed for displacement without separation of the skull and brain tissues, and strongly corresponded with known neuroanatomy. This 3D model indicated that non-linear stress-strain associations between brain and skull tissues best matched experimental results. Further, this 3D model could be closely predicted using an Ogden Hyperviscoelastic Constitutive model which did not over- or under-estimate deformations during head impact. The risks of over- and under-estimating head impact during motor vehicle accidents has implications for vehicle construction and prevention of serious brain trauma during accidents. Ultimately, a better understanding of the interaction between layers of the brain-skull interface can produce more accurate predictions of the likely impact during motor vehicle accidents and prevent violent head injury. Extrapolation of this research into paleoneurology could allow investigations into the structural interaction between the brain and braincase, testing if the resistence of brain-skull tissues during deformation evolved in human species as primary adaptations or secondary adjustments such as allometric responses. The Finite Element (FE) method has increasing application to biological sciences but frequently lacks proper validation by robust experimental research. One aspect of particular biological and bio-mechanical importance is growth of the human infant skull. Specific local changes during growth of the infant skull are largely unknown with only the general rate of cranial increase from 25% at birth to 65% of the adult size by age six. The potential adverse effects of any abnormalities in infant skull growth is difficult to approximate if the isolated local areas likely to be most impacted are not accurately known. If properly validated, computer simulated modelling such as Finite Element methods would be invaluable in surgical settings. A new comprehensive study focusing on human infant cranial vault expansion utilized robust laboratory experiments of a fetal skull (ex-vivo), replicate physical model (in-vitro), several FE models (in-silico) and a sample of micro-CT infant skulls (in-vivo). The first validation tested a physical model against a FE model (A) in which the cranial base and facial bones formed a single structure with only the cranial vault comprising individual bones. The FE model (A) over-predicted size changes to the anterior of the skull especially near the orbits and mediolateral expansion of the skull. The second validation tested in-vivo models against an FE model (B) in which the only the facial bones formed a single structure while the vault and cranial base comprised individual bones. All analyses associated discrepancy between the FE model (B) and the in-vivo models with age-related changes. As age increased, the regions under-predicted by the FE model (B) were first the orbits and upper vault before tending toward the cranial base, while the regions over-predicted by the FE model (B) were focused on the anterior and posterior fontanelles. This validation study showed that FE modelling could be used to approximate growth in the human skull with only small discrepancies. The differences between the predicted ranges of growth (FE models) and the observed growth (in-vivo models) was explained by assumption of isotropic brain expansion which simplified the highly complex and uneven growth rates in real brain expansion. The artificial construction of a single structure representing the facial bones added further constraints. The development of more advanced simulations could narrow the discrepancy between expected and observed growth patterns allowing a more accurate representation of human skull growth. The Finite Element Method (FEM) was developed within the framework of Engineering but has become a popular tool in bio-mechanical studies. It is natural that computational bio-mechanics and Finite Element Analysis (FEA) became increasingly promising in fossil studies where there are no examples of some taxa still living. 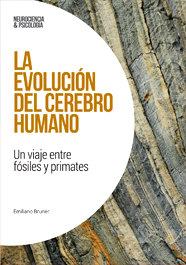 To study the bio-mechanical responses of fossil hominids, modern humans and non-human primates are often used as comparative samples for which there are already known values. Despite this, precisely how accurately computational bio-mechanics compares with physical studies is still not well understood. The biological composition of bone and dentition is hard to replicate in computational terms with the cranium a mixture of trabecular and cortical bone while teeth comprise variable layers of enamel and dentine. The resolution required from Computed Tomography (CT) scans to accurately capture these finer biological compositions is not feasible for the heavy demands on software to analyze such FEA models with flow-effects for the number of specimens that can be included into any single study. Godinho et al investigated the validity and sensitivity of Finite Element (FE) models using a direct comparison with a human cadaver. Results were particularly affected if the model was simplified by assigning all materials as cortical bone, including dentition and trabecular bone components. Results showed that the real and virtual skull showed no differences in strain magnitude; differences in strain pattern (high or low strain distribution) were only partially different; simplifying the virtual model decreased the strain magnitude; simplifying the virtual model partially affected the strain pattern with the regions near the dentition, particularly the alveolar ridge, most affected. For bio-mechanical studies, by not simplifying virtual models and attempting to designate dental and bone tissues properly acknowledges the underpinning biology of the cranium while potentially revealing sensitive adaptations of this biological structure. By adopting these changes, new variations between living and fossil humans, that have so-far been obscured by less time-consuming computational methods, could reveal unique adaptational trends that have real significance for human evolution.